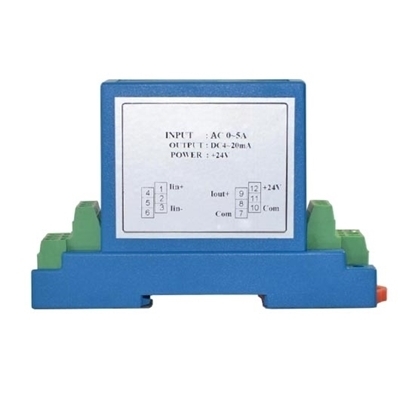 Hall effect AC current sensors are non-invasive current sensors, with 1.0%FS accuracy, 1ms fast response time, 0-50A ~ 0-1500A measuring range, 4-20mA output signal, 12V/24V power supply, fixed installation, excellent linearity and strong anti-interference capacity. 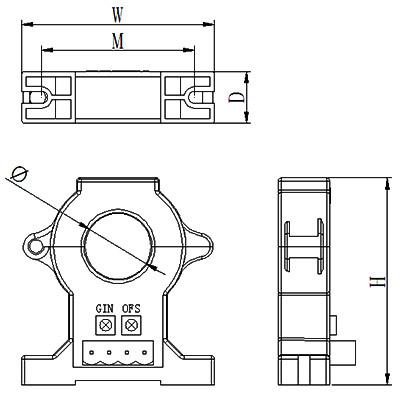 Open loop AC current sensors can be connected to AD, DSP and PLC directly. 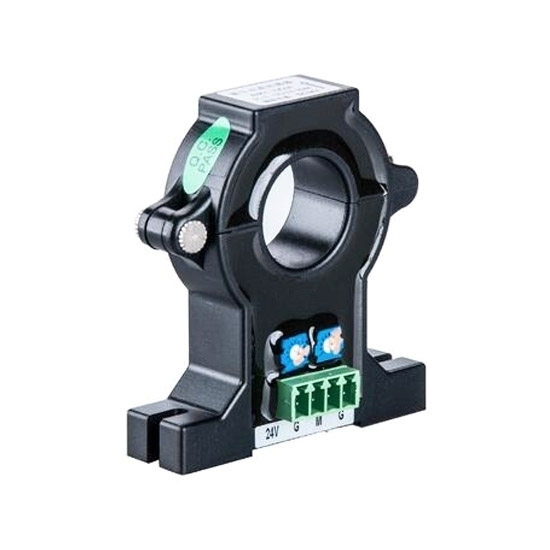 AC current sensors are now widely used for AC current measurement. 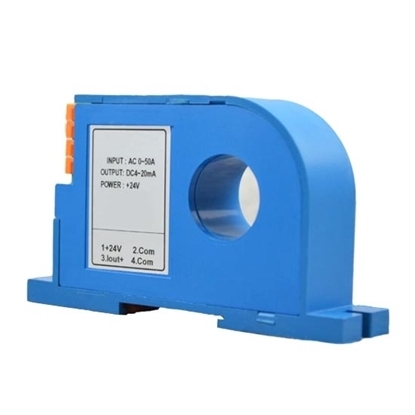 AC current sensor has measuring range of 50A/100A/200A/300A/400A/600A/800A/1000A/1200A to 1500A.